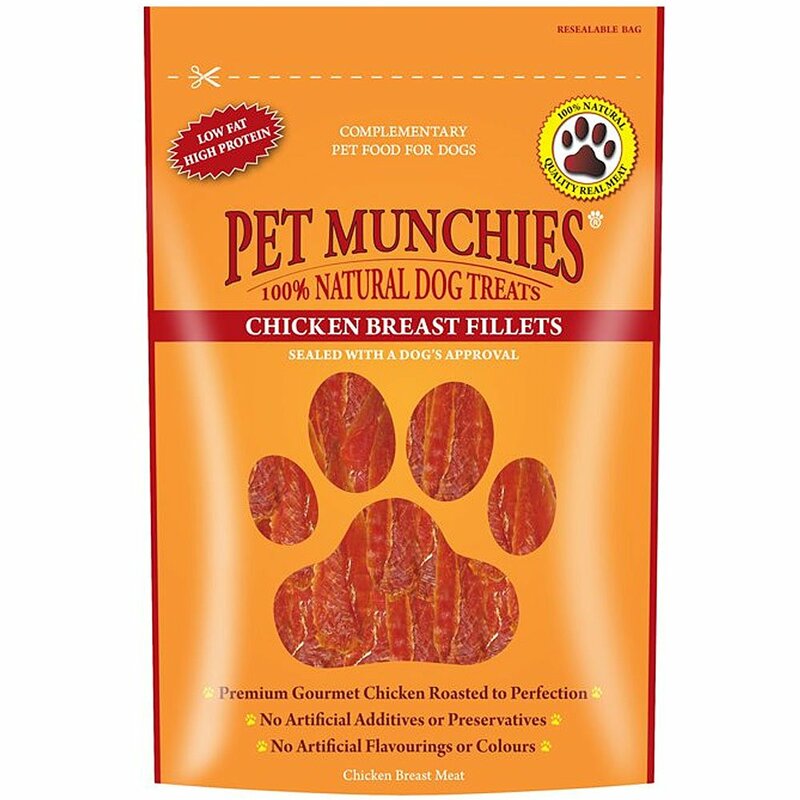 Mobile Pet Foods sell a wide variety of Pet Munchies treats. Available in a wide range of flavours and sizes Pet Munchies are the Natural aTreat for your dog. You feed your dog the best food possible why not give them great treats too. Pet Munchies are premium, gourmet treats made with quality, human grade real meat and fish. All of our interesting treats are natural hand cuts that preserve the flavours of the finest chicken, duck, liver, venison, lamb and ocean white fish. Pet Munchies are the perfect accompaniment to any dogs diet, as a reward or to keep them entertained. Why not browse our entire range of treats to compliment your dogs diet.